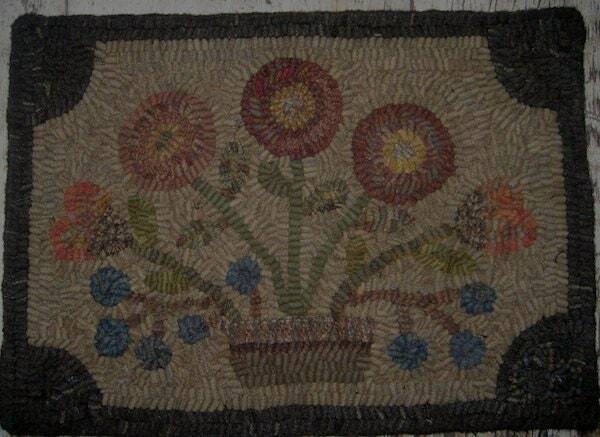 Hooked rug pattern "Posies" by Baskets of Wool. It measures approx. 13.5" X 19". Pattern comes hand drawn on linen, serged, with a generous border.